As artistic innovation spread from the Southern Netherlands to the north, Hieronymous Bosch produced one of the most famous works of European art ever created. 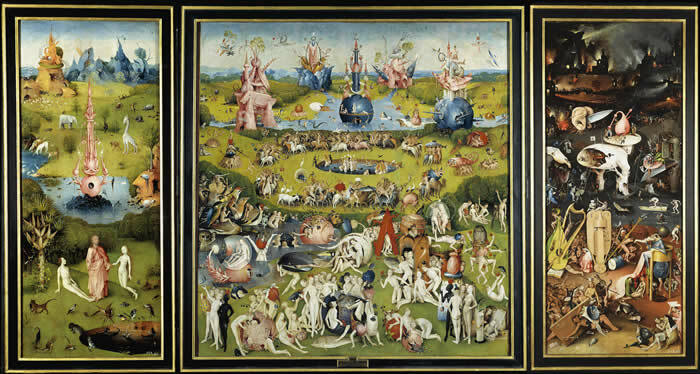 This triptych depicts bizarre landscapes, inspired by the Garden of Eden on the left, a strange landscape of oversized animals and fruits in the center, and an infernal place on the right panel. Scholars have debated whether this work depicts a Biblical allegory or a more secular meditation on the human condition for centuries.